I have so many handsome and finely crafted pieces of furniture coming through my life every day. I’m lucky and also grateful that I’ve not gotten jaded or take this for granted. 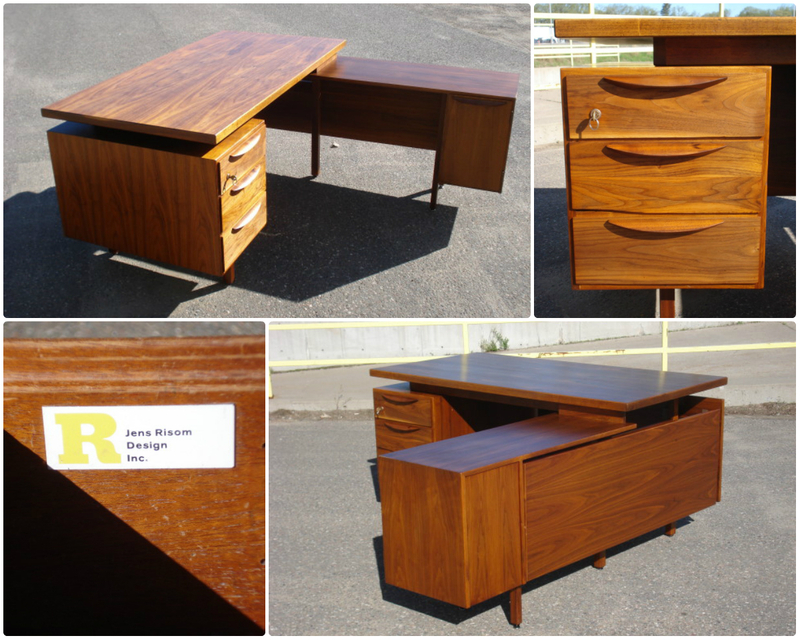 If I was jaded, then I’d miss out on the excitement of having this exceptional Jens Risom floating top desk in our store. Risom is a storied mid-century furniture designer, and desks like this are objects of desire for aficionados worldwide. This piece is even more desirable because it is in exceptional condition, thoughtfully restored by the folks at Mid-Century Vibe. The piece is complete and includes the desk with modesty panel, the matching return and working drawer locks with key.